Those cheeky chappies at Paddy Power are best known for their sports betting operation in the UK and Ireland, with their often near-the-knuckle advertising occasionally drawing the ire of various groups who are offended. But hey, all publicity is good publicity, right? In truth, Paddy Power is a solid betting brand that doesn’t need to resort to such tactics when it has a solid platform to fall back on. It moved into the casino game on the back of its sportsbook success, and it’s a case of so far, so good for the Irish firm as far as its slots and table games are concerned. There’s a clear emphasis on the part of Paddy Power Casino to pair up with two main software developers: NetEnt and IGT. 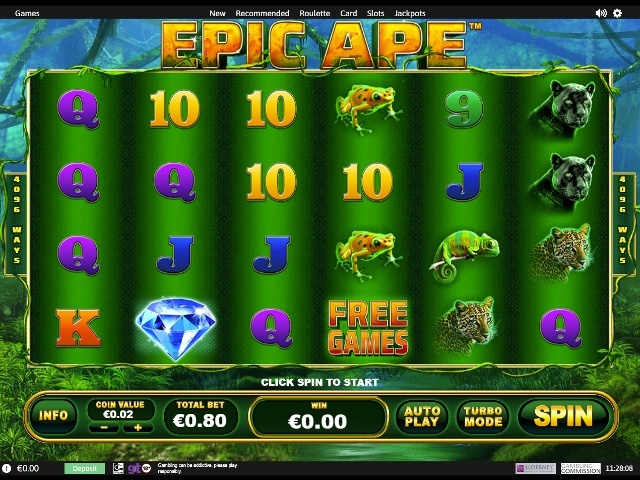 Anybody who has enjoyed slot gaming for any period of time will have come across a NetEnt game or two; it really is the numero uno in the slot gaming world. Paddy Power offers some of its all-time classics, including Starburst and Jack and the Beanstalk, as well as some of the newer releases, too. And IGT is renowned for the innovative touches it brings to its titles, so you’ll have a great time getting to grips with its back catalogue. You tend to find that the leading bookmakers place a premium on a strong user experience, and Paddy Power is no different with its betting platform being one of the most satisfying to use. Happily, that approach has been continued into its casino. The layout of the site couldn’t be any more straightforward, with each game category listed clearly at the top of the screen. One bone of contention is that the slots aren’t broken down into sub-categories to speed up the selection process; instead you’ll have to scroll through the library to find your favourites. Otherwise, the casino is responsive and fast-loading, and another positive knock-on effect of its sportsbook is that all of your accounting functions, such as checking balances, making deposits/withdrawals etc, can be completed with ease. The slot game selection at Paddy Power Casino isn’t sizeable; a quality over quantity approach has definitely been the order of the day here. 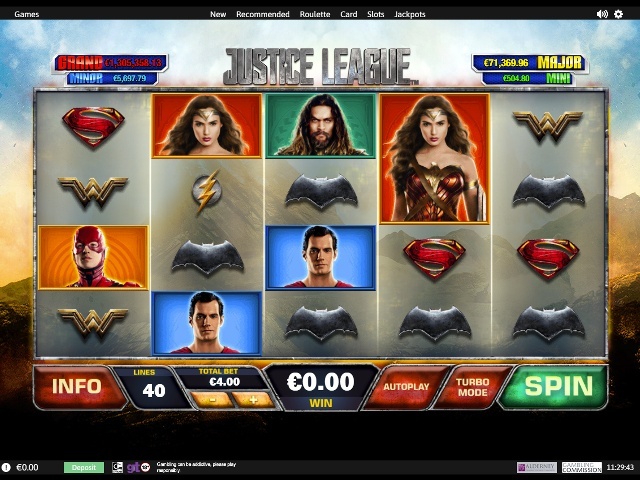 Just over 100 slots await players, and these can be broadly categorised as traditional games, progressive jackpot titles, video slots and licensed content, such as the likes of Justice League, Gladiator and The Matrix, which are all popular movie franchises turned slot favourites. Does Paddy Power Casino Offer Progressive Jackpot Slots? 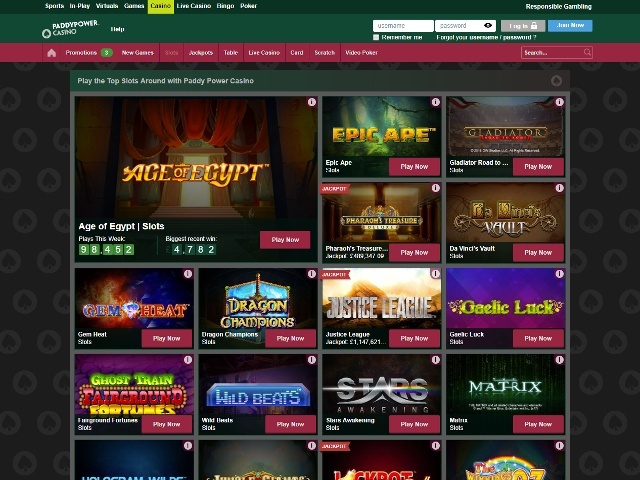 There are 36 slots available in Paddy Power Casino’s catalogue that are linked to a progressive jackpot, which is a high percentage of its overall output. From Age of Egypt and Pharaoh’s Treasure to Adventures in Wonderland and Bounty of the Beanstalk, there are jackpot games that range in style but all share one thing in common: there are huge cash prizes to be won. 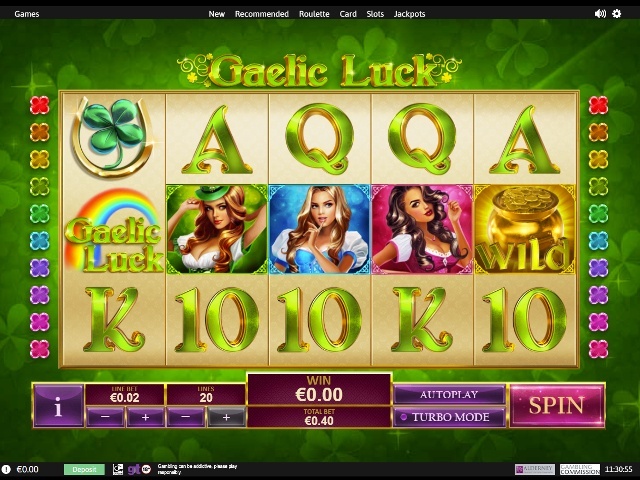 Can Players Demo Paddy Power Casino Slot Games for Free? In the ultimate ‘try before you buy’ opportunity, you can enjoy Paddy Power Casino’s slot games in free play mode before parting with a single penny. This is an ideal way to get to know the distinctive machinations of each title prior to playing with real cash. The handy knock-on effect of Paddy Power’s presence as a betting powerhouse is that it accepts a wide range of payment methods, and that’s also the case for casino customers. All of the usual debit/credit cards (Visa, MasterCard, Switch, Solo) are present and correct, as are the key e-wallets (PayPal, Skrill, Neteller, Paysafecard). Paddy Power Casino players can also move funds via bank transfer and personal cheque. At the time of writing, there are three promotions to be aware of at the Paddy Power Casino, and two of them are related to new player bonuses. You can choose between two options: a 200% bonus worth up to £200 on your first deposit, or alternatively a deposit £10, play with £60 option that includes 20 free spins on Space Invaders. New live casino players also trouser a 100% bonus up to £100. Paddy Power has introduced its own security customer standards that ensure its players are kept safe from data fraud and theft. Transactions are protected by 128-bit SSL encryption. The tiny ‘help’ button towards the top left of the screen is your starting point. The team can be contacted via phone or live chat through the website.